French authorities have spent five years investigating a case of alleged tax fraud against art dealer Guy Wildenstein. The trial opened this week only to be stopped three days later. Wildenstein, and other family members, were accused of bilking the French taxman to the tune of hundreds of millions of euros, by underdeclaring the stupendous value of his late father’s estate. All the defendants deny wrongdoing. However the tribunal’s president halted the trial because it involved both criminal and civil charges, and has sent the case to a higher court to rule on its constitutionality. So don’t hold your breath — the case is unlikely to come back before the tribunal for many months. Much of the Wildenstein’s massive fortune comes from art dealing over four generations, as well as the family holdings of art, according to US investigators, and could be worth $1bn. 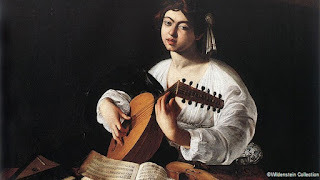 But an article published in 1999 in Lute News, the newsletter of the Lute Society, which went largely unnoticed, questioned the attribution of one potentially highly valuable work belonging to the Wildensteins — Caravaggio’s “The Lute Player” (1596). Reported to be worth some £69m, it is (supposedly) one of three versions, and had been on loan to the Metropolitan Museum of Art in New York until 2013, when it was taken back by the family. However, in the opinion of lute-maker David Van Edwards, a wealth of details in the painting including the number of pegs on the lute and its bridge mean that the work could not be from the 16th century and therefore, he concludes, is inauthentic.